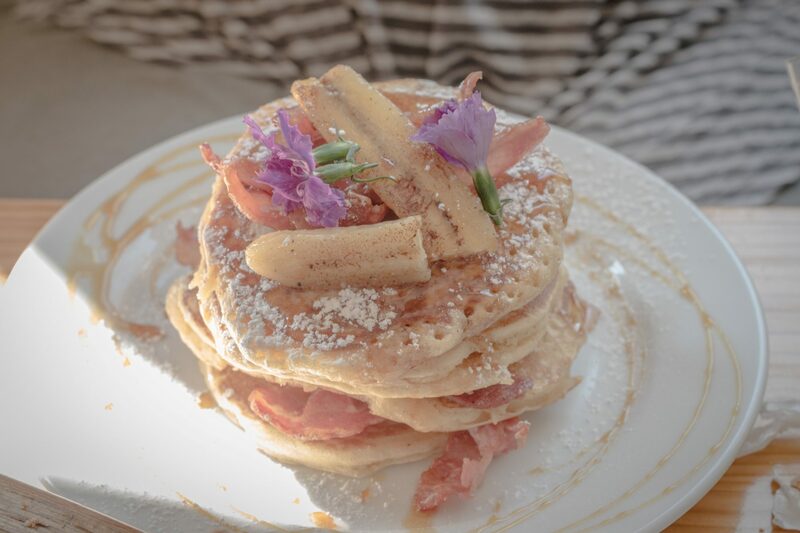 I recently attended a breakfast with some fellow foodies at Urban Angel Café. Urban Angel Café is based in an office park in Boskruin. Having never been before, I was pleasantly surprised. Urban Angel Café boasts freshly baked pastries, raw juices and a variety of cooked meals (with some healthy options as well). To start, we were treated to some delicious croissants, apple Danish pastries, cinnamon buns and muffins along with Urban Angel Café’s very own homemade jam and marmalade. The pastries were freshly made a few hours before our arrival for breakfast. That was very evident; still warm and soft. 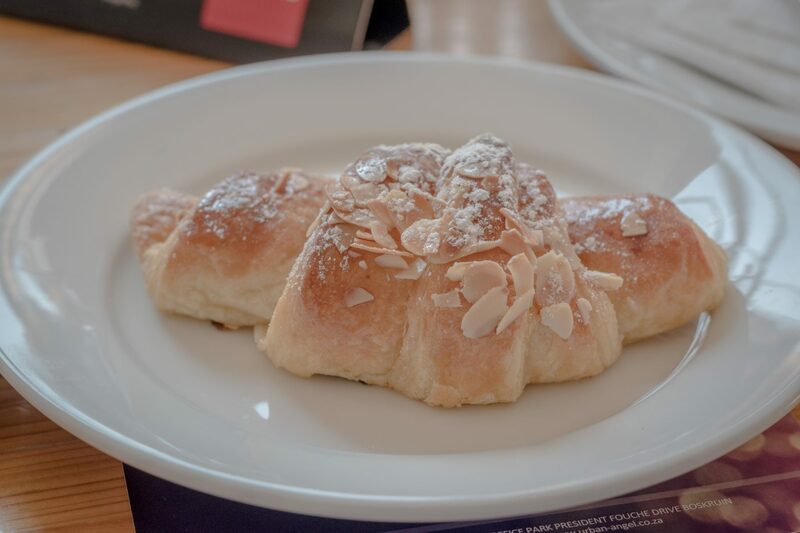 The almond croissants were absolutely heavenly! Honestly speaking, one of the best croissants I’ve tasted. I ordered the cauliflower and bacon rosti as my warm cooked meal. 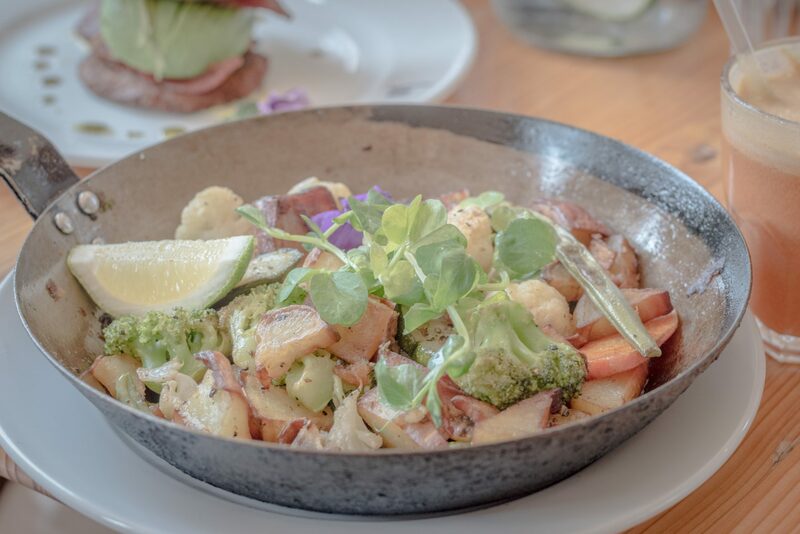 This was a crispy cauliflower and zucchini rosti topped with fresh avocado and streaky bacon. While I personally prefer a more traditional potato rosti, this breakfast was really enjoyable (it’s definitely a plus for anyone who’d like to reduce their carb intake). The portion sizes at Urban Angel Café were most certainly generous. 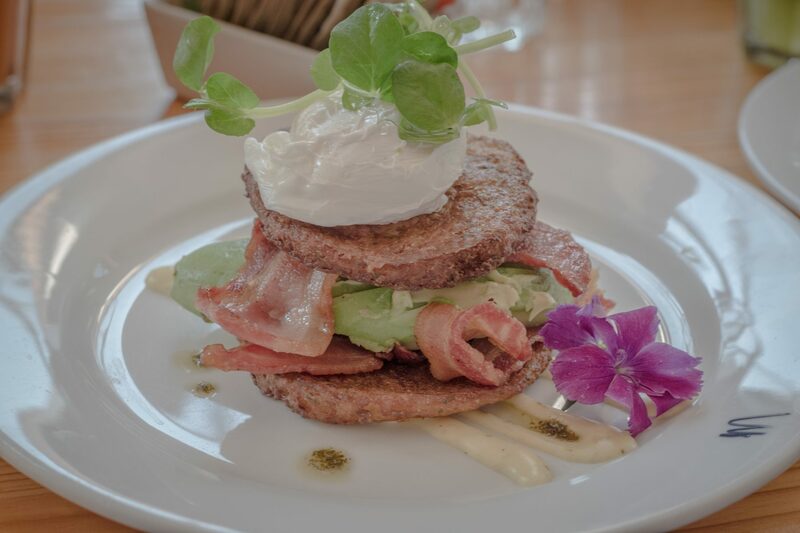 I had delicious avocado towering my rosti! Definitely great value for money! 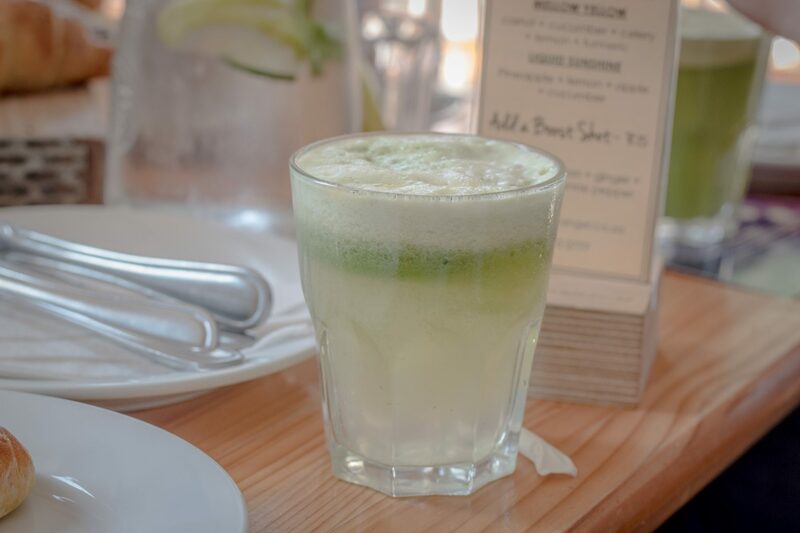 I also tried one of Urban Angel Café’s raw juices, Liquid Sunshine. This was a mix of pineapple, lemon, apple and cucumber and it was really tasty. Loved the combination of these flavours. The service at Urban Angel Café was great and we were well attended to. It’s a lovely little restaurant with a very homely feel and quite clearly a popular choice for a Saturday morning breakfast. I will definitely be back again soon for some delicious and freshly baked pastries.